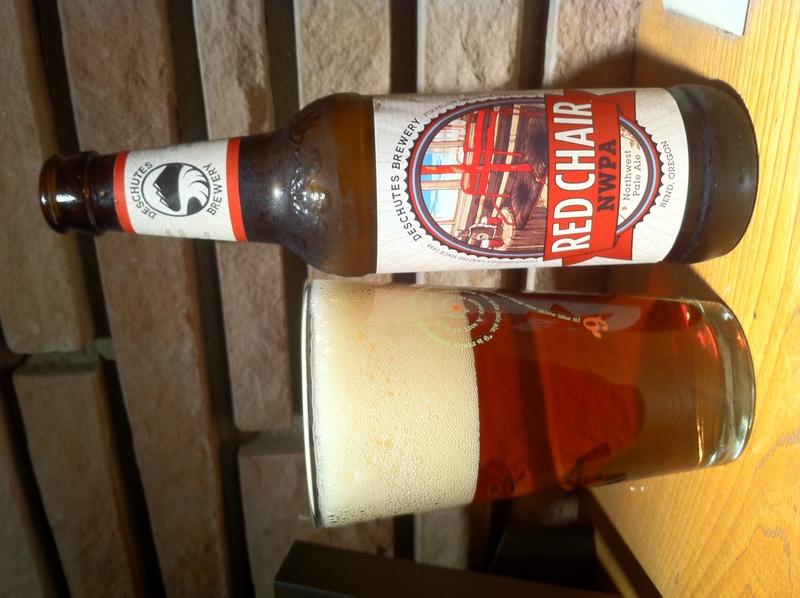 Red Chair NWPA (Northwest Pale Ale) is a seasonal brew from Oregon’s Deschutes Brewery. This American Pale Ale has 60 IBUs, a 6.2% ABV and is available January-May. The citrus punch of a big IPA, minus the one-dimensional hop sledgehammer. Seven select European and domestic malts round out the edges for a complex, copper-colored brew. Like its namesake skilift, it’s an insider’s ride to fresh thrills. Red Chair pours a gorgeous ice tea brown with a massive bubbly beige head. Once the head subsides only a creamy layer is left floating around and it doesn’t go away. Tiny bubbles and a hint of sediment swirl around the glass. Lacing hangs in big splashes. The nose is big and chock-full of pine needles and pine cones. Belgian sugar, sea foam and cake batter ice cream are always easily detectable in the scent. Creamy and delicious was the first thing I thought of upon first sip of this beer. The flavor starts with a piney sweetness that fades to a chai tea like backbone. It’s obviously an APA, but it doesn’t beat you over the head with it’s hoppiness. The flavors are well-balanced and easy drinking and as the beer warms it fades to a smooth lightly sweetened ice tea flavor. Mouthfeel is a step over light and as sticky as you’d expect. The hop juice leaves a residue clinging to your mouth. Red Chair NWPA is an easy drinking pale ale that can be enjoyed during a warm summer day or while waiting for the next ski lift. It’s almost a red ale mixed with a pale ale and trust me when I say that’s a good thing. I would really love to try this flavorful and smooth beer on tap someday!